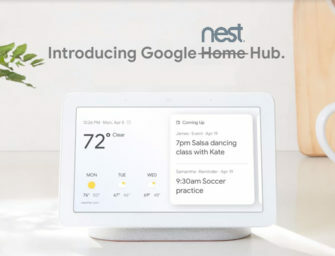 Google made pre-emptive strikes by lowering prices of its Home speakers in anticipation of Prime Day, but the shopping festival proved highly beneficial to Amazon. The quarterly sales showed Amazon with 31.9% share to Google’s 29.8% and with Alibaba in third at 11.1% and Xiaomi with 9.7%. Other manufacturers accounted for 17.4% to shipments. The new sales figures represent a 137% rise over Q3 2017. A few trends emerge when considering Canalys data released thus far in 2018. There is a steady march upward in quarterly smart speaker sales punctuated by Q4 for which Canalys has not officially released data, but other sources suggest was north of 20 million units sold globally. The rise begins again in Q1 2018 culminating in Q3 shipments of 19.7 million smart speakers, nearing the total for Q4 of 2017. Canalys reports that 45.5 million smart speakers have shipped thus far in 2018 compared to about 40 million in the full year 2017. The company forecasts that nearly 30 million units will ship in Q4 2018. The other obvious trendline is the erosion of Amazon’s market share. Part of that is due to the rapid rise of smart speaker sales in China and Korea where Amazon Echo products are not sold. However, the bigger impact has been the torrid growth of Google Home smart speaker sales. Amazon sold 3.7 Echo smart speakers for every Google Home in 2017. This year Amazon has sold only 0.9 Echo devices for each Google Home. That means Google was eating into Amazon’s market share in Q1, Q2 and overall for 2018 despite coming up a bit short of Echo sales in Q3 2018. The latest data also suggests Canalys has adjusted its 2018 smart speaker forecast upwards by 33%. In January, Canalys published a global smart speaker sales forecast of 56.3 million units. The company now estimates total units sales for 2018 will be 75 million. That is the other trend we consistently see for smart speakers sales: analysts increasing their forecasts as new sales data that exceed expectations arrive each quarter. It seems clear that smart speakers are popular with consumers worldwide. You can read the official announcement from Canalys here.